Owned, operated and maintained by Crabble Corn Mill Trust, the mill was rescued from demolition and opened to the public in 1990. It can now boast to be one of the most complete and working examples of a Georgian watermill in Europe. All the staff at Crabble Corn Mill are volunteers and take no wages; they do this simply to keep the Mill going. Our only income is from visitors, special events and occasional donations. Crabble Corn Mill receives no financial aid from the state and all monies raised go to the upkeep of Mill and its estate. The current structure was built in 1812 alongside an existing mill which was later demolished to allow for additional storage space - what is now the exhibition area on the ground floor and the tea rooms. However, records show that there has been a mill on this site since at least 1227 when Henry III granted a Charter of Confirmation to St. Radigund's Abbey, the ruins of which can still be seen today on the hill above the village. 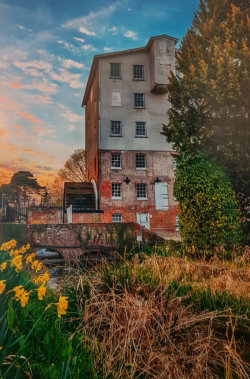 Local photograher Peter Kesby took this atmospheric picture which was featured in a recent exhibition of his work at the Mill. The Mill is a working museum and as such shows Georgian and Victorian engineering excellence at work using one of natures most powerful forces - water. In 1999 the Mill won the prestigious Presidents Award from the Association for Industrial Archaeology. Six floors of exhibits and milling machinery describe the process of turning wheat into flour, and this wholemeal flour is available for sale at the Mill. The café, which is also available for private functions, serves a variety of snacks and has a fully licensed bar serving a variety of beers, cider, wines and spirits. There is no admission charge to the café, although we hope you will take a tour of the Mill while you are here. Residents of the village of River will be opening their garages on Sunday 9th June 2019 to sell unwanted bits and and bobs, no longer used kids toys, clothes, furniture and other useful stuff. Make a note in your diary NOW. Friday, Saturday and Sunday 24th, 25th & 26th May. 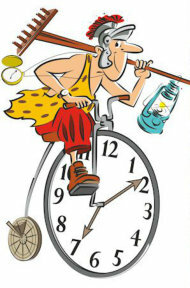 We will be having 60 beers and 30 ciders which are now on order. Tickets will be on sale from Wednesday 1st May. The Friends is a locally organised group for people who are interested in the mill and it’s future. Much work on the building and the millpond has been carried out by ‘Friends’. Substantial funds have also been raised towards the project and to help with running the mill. For more information about the Friends and how to join click HERE. From 100% stone-ground wholemeal flour to a variety of bread mixes all produced here at Crabble Corn Mill and available to buy from the Mill. Packed as 1.5 Kg bags for home use or we can do 16 Kg or 25 Kg sacks for the commercial baker. See our price list HERE.